Mahindra cars price starts at Rs. 4.82 lakh for the cheapest car KUV100 NXT and goes up to Rs. 30.70 lakh for the top model Mahindra Alturas G4. Mahindra offers 18 new car models in India. XUV300 (Rs. 7.90 lakh), Scorpio (Rs. 10.00 lakh) and XUV500 (Rs. 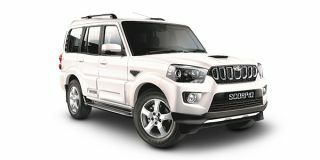 12.88 lakh) are among the popular cars from Mahindra. 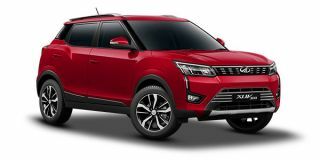 In the year 2019/2020, Mahindra is going to launch 4 new models in India. 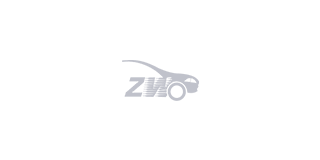 Select a Mahindra car to know the latest offers in your city, prices, variants, specifications, pictures, mileage and reviews. Q. Which one I should buy, Hyundai Creta 1.4 or XUV 300? Q. I am confused between WRV, S-Cross, XUV-500-Diesel Manual. My Basic Needs are 1. 7-Seater car, 2. Mileage-above 22 Kmpl and 3. Low maintenance Cost. Please suggest. Q. Between scorpio and creta, which one is better? Q. Is it satisfies all necessary information about a SUV? Q. Which is better SUV, XUV 500, Scorpio, EcoSport or Creta? Mahindra is taking a leap of faith with its most expensive product yet. Should you?